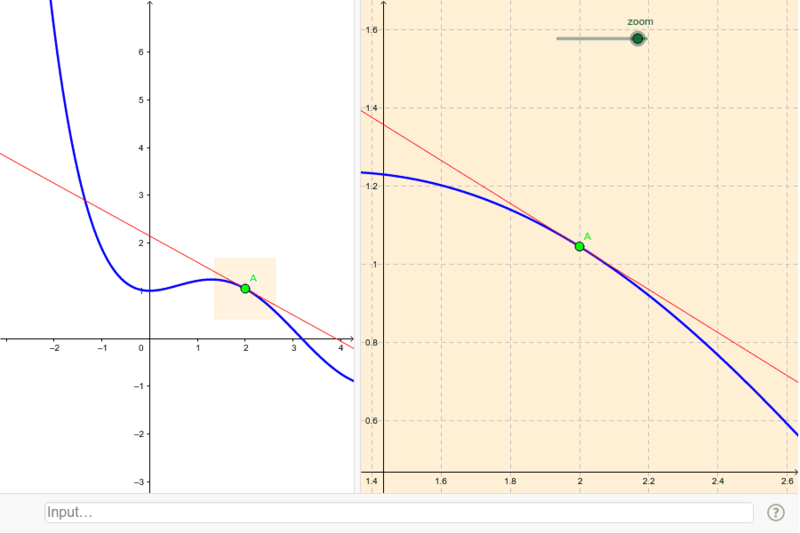 Zoom in to examine, in the second graphic view, part of a graph of function and tangent at a movable point. Drag point A in either graphic view. Use the slider to control the zoom box size. To change the function, enter another f(x) in the input field.